Even as one of India’s fancied e-commerce startups has imploded, nimble companies have been waiting in the wings to pick up the scraps. Infibeam has purchased Snapdeal’s Unicommerce platform for Rs. 120 crore in stock, the company said in a statement. Unicommerce was a fully owned subsidiary of Snapdeal, and provided SaaS solutions for warehouse management, multi-channel order fulfillment, e-commerce order processing, catalogue management, inventory management, and omni-channel management for brands and online sellers. Crucially, it was perhaps the only subsidiary of Snapdeal that was profitable. That would’ve interested Infibeam, which is the only major e-commerce companies in India that’s profitable. Infibeam has been profitable since it was listed on the NSE two years ago, and registered a net profit of Rs. 30 crore last quarter. Infibeam’s stock has also rallied since its listing, and is up nearly four times since its IPO. And Unicommerce will likely fit in well with Infibeam’s e-commerce strategy. Instead of focusing on serving as a marketplace for goods, Infibeam has chosen to become a more of a software provider in the e-commerce space. In the last quarter, its SaaS platform, called Infibeam Web Services, contributed 66% of the company’s revenue, up from 39% in the previous quarter. Infibeam Web Services has an even larger share of Infibeam’s profits — it helps tide over the losses made by its e-commerce arm, which like other e-commerce companies in India, continues to be in the red. Unicommerce, having SaaS solutions of its own, can provide complementary advantages that Infibeam Web Services could leverage. It can also help strengthen Infibeam’s Build A Bazaar platform, through which it provides small businesses with cloud software to help them run their business. “Through Unicommerce, we plan to boost our e-commerce enablement capabilities and expand the product offerings for existing clients. 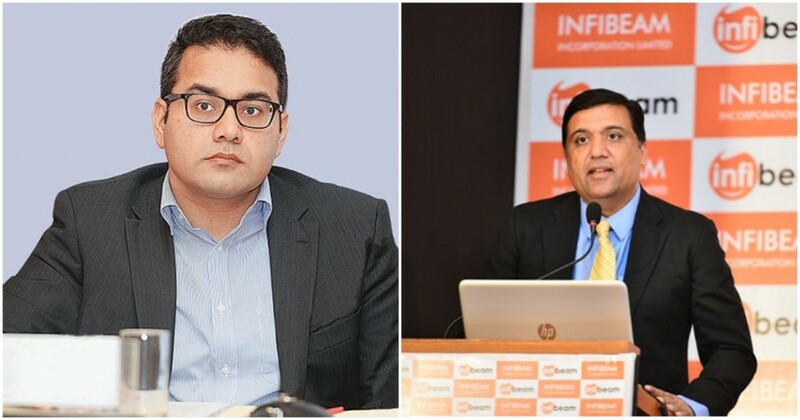 Unicommerce fits perfectly with Infibeam’s vision of creating India’s largest e-commerce enablement and payments ecosystem for businesses, including web-front, web domain, logistics and payment solutions,” said Vishal Mehta, managing director, Infibeam. Unicommerce’s sale, though, will mark the end of the subsidiaries that Snapdeal had planned to jettison as a part of its Snapdeal 2.0 initiative. Last year, after sustained losses, Snapdeal had been unable to raise further funding, and had fired most of its staff and made its founders take no salaries. Following this, it had first sold FreeCharge to Axis Bank, and had then sold Vulcan Express, its logistics arm, to Kishore Biyani’s Future Group. But both of Snapdeal’s previous sales had come at steep discounts — in 2014, Snapdeal had purchased FreeCharge for over Rs. 2400 crore and ended up selling it for just Rs. 370 crore; Vulcan Express had raised Rs. 200 crore from investors before Snapdeal sold it for Rs. 35 crore. Snapdeal had acquired Unicommerce for an undisclosed amount in 2015. While Snapdeal is taking large haircuts on its subidiaries, the buyers seem to consistently be savvy companies that are profitable. Snapdeal had lost Rs. 5143 crore last year, but all of Future Group, Axis Bank, and Infibeam are profitable. As Snapdeal was burning millions of dollars to build its subsidiary businesses, these companies were clearly lying in wait, waiting for the right time to strike. After Snapdeal has imploded, they’ve swooped in and bought these companies at a price that they deem fair. In business, as in cricket, sometimes the only difference between success and failure can be just timing.